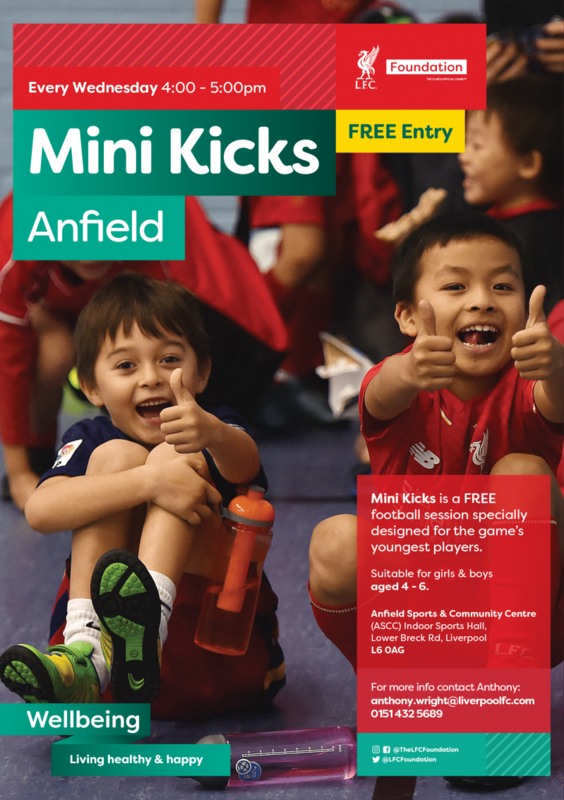 The LFC Foundation’s Mini Kicks is a specially designed coaching session for the game’s very youngest players. For girls and boys ages 4 - 6, these indoor sessions introduce children to football in a fun and supportive environment. Our qualified team of coaches help participants learn and develop the basic skills and techniques of the game, helping to build confidence as they develop as players and young people. Once they have completed their time at our Mini Kicks, many of our participants join the Foundation’s Kicks programme, which runs weekly sessions for girls and boys aged 8 – 19 years.